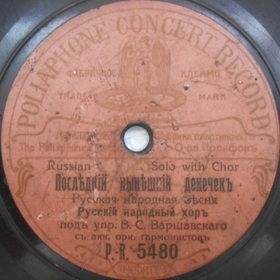 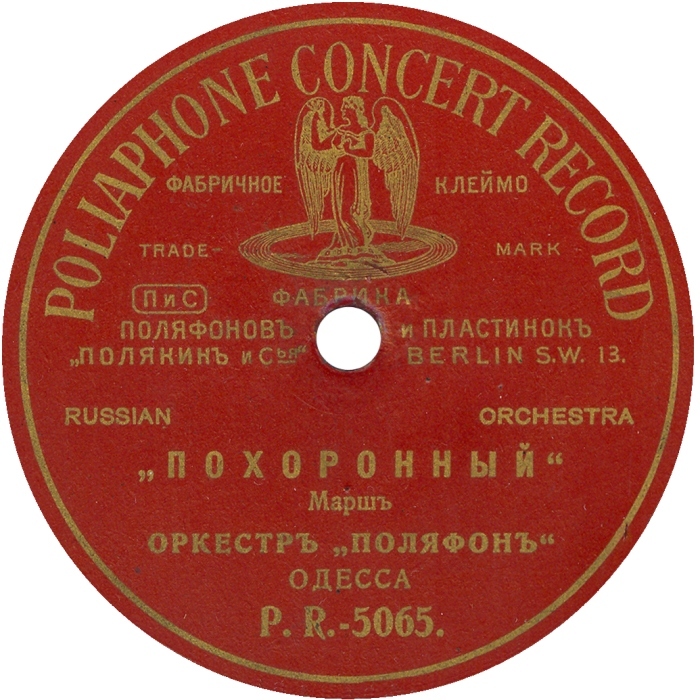 Small phonograph company «Poliakin & Sons» operated from 1910 to 1914 . 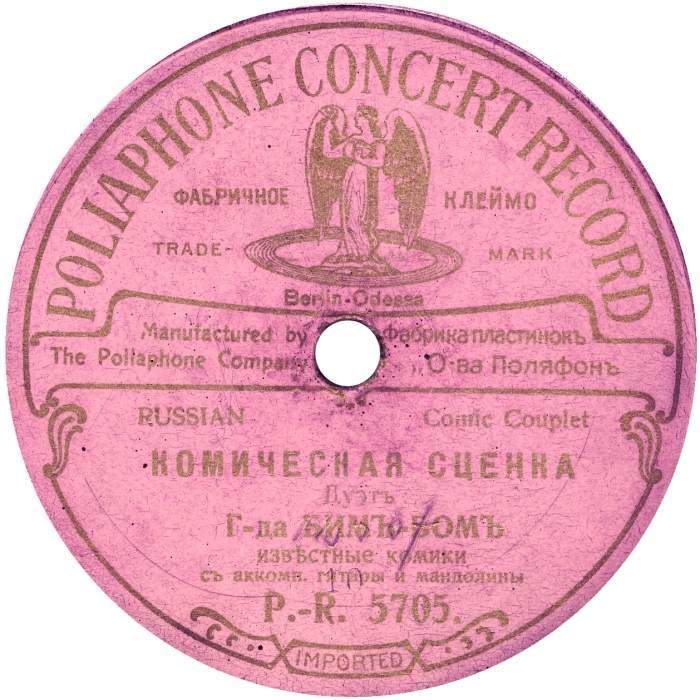 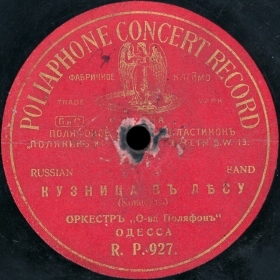 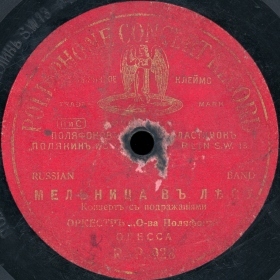 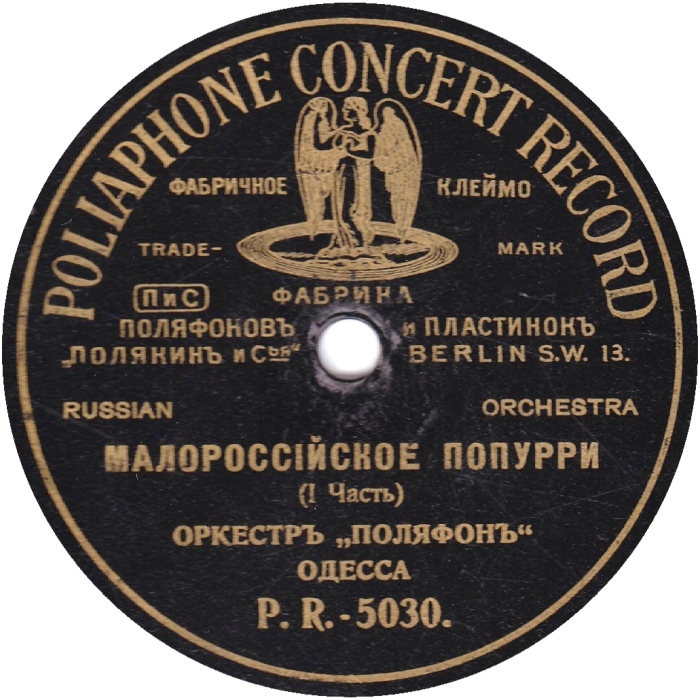 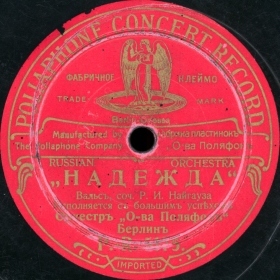 The label began its activity in Berlin by issuing records with Russian repertoire using masters bought from German companies «Stella», «Beka» and etc. 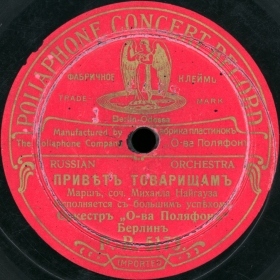 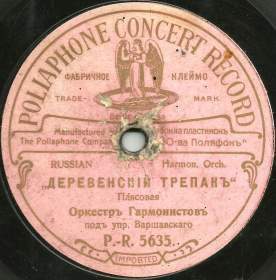 In the end of 1910 the company relocated to Odessa, where it built a small plant for manufacturing of phonographs and… pressing of piratical records . 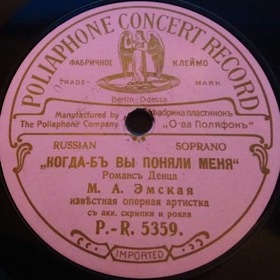 Judging by the existing copies of records, the company achieved certain perfection in the business of copying somebody else’s records: on this record the own announcement is attached to the copied phonogram! 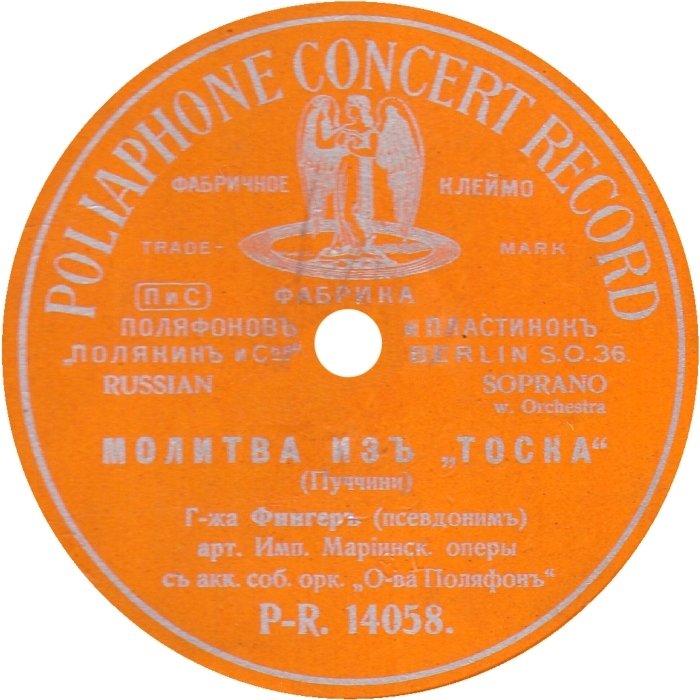 One can make this conclusion after careful listening to the record: the announcement sounds indistinctly and faintly, while the orchestra sounds brightly and richly. 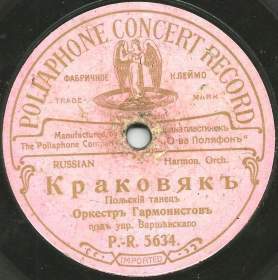 Supposedly, for achieving this goal they used a pantograph with attached to it mouthpiece. 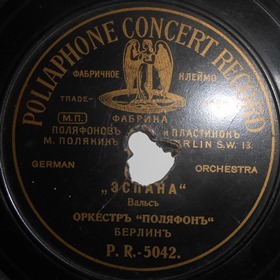 The process might work this way: first they started the recorder, then spoke necessary phrase into the mouthpiece, then without stopping started the playback of the original record. 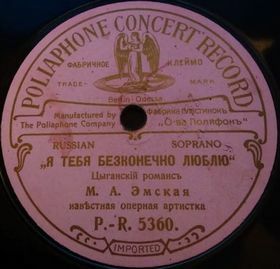 Since all records have more or less prolonged lead-in groove, there should be a lapse between the end of the phrase and the beginning of the actual sound – this is exactly what we observe! 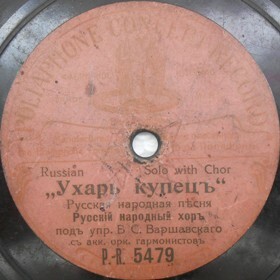 Usually there is no such delay on the original recordings. 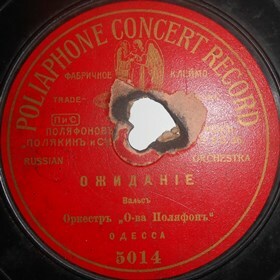 Using this “hi-tech” technology combined with “social skills” of Poliakin-senior explains the fact why “all attempts of thieved artists to stop the illegal business ended up without success - «wise» Poliakin-senior befriended with local police as well as with fathers of the city, so they closed their eyes on all his «pranks»”. 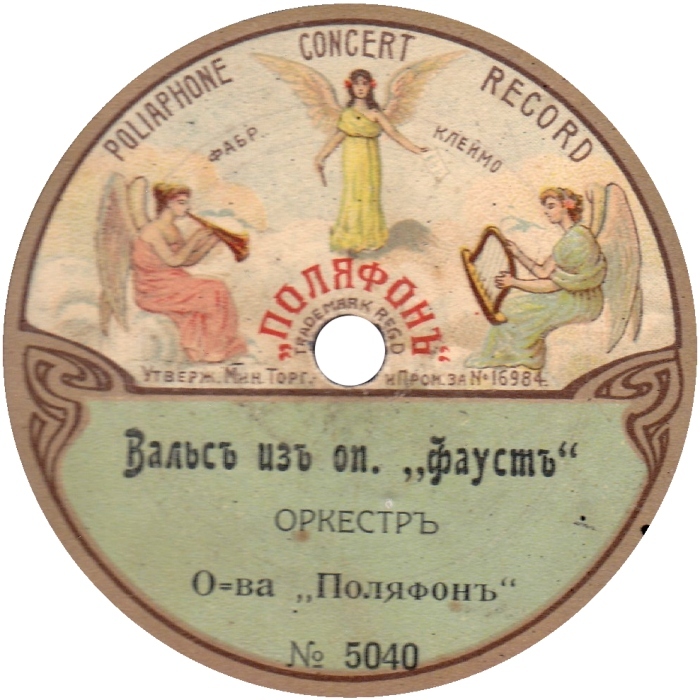 After passing of the Copyright Law in March 20, 1911, the company began making its own recording, mostly with folk music .